This smart Theory romper has a curved overlay, creating the look of layered separates. 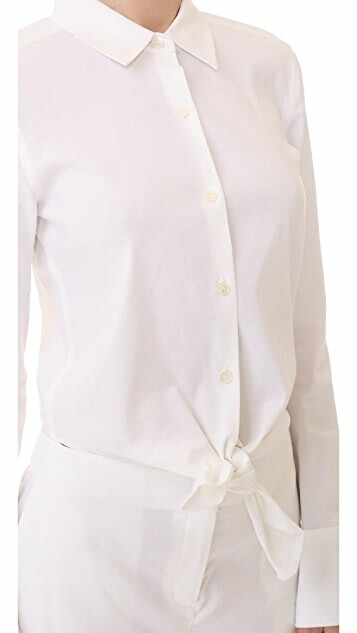 Fold-over collar and buttoned placket. On-seam pockets. Long sleeves with hook-and-eye closures at the split cuffs.